The man in charge of India's railways has been mocked for sharing a video of a "high-speed" train that turned out to be a time-lapse of a slower train. Piyush Goyal, Minister of Railways and Coal, tweeted that the train was "zooming past at lightning speed". Mr Jaiswal's clip, the same train travels at a much slower speed. 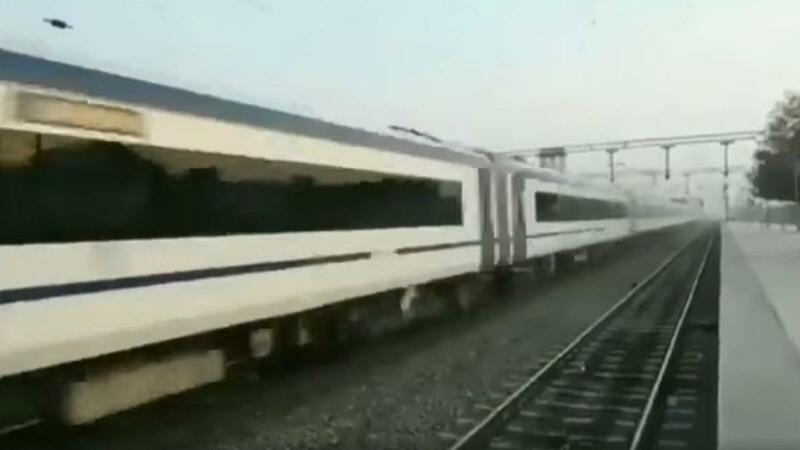 In the video posted on his official Twitter account, Mr Goyal says the video shows "India's first semi-high speed train built under 'Make in India' initiative, Vande Bharat Express". As India's railways minister, he is in charge of the fourth-largest rail network in the world. The train, Train 18, is indeed India's fastest train to date. It will travel between the capital Delhi and Varanasi at a maximum speed of 130km/h (80mph). Since the exchange, people have been mocking the minister online with their own videos of "high-speed trains".